Last week, country singer Johnny Reid‘s new album, A Place Called Love, was released in Canada, and went platinum in a single day. 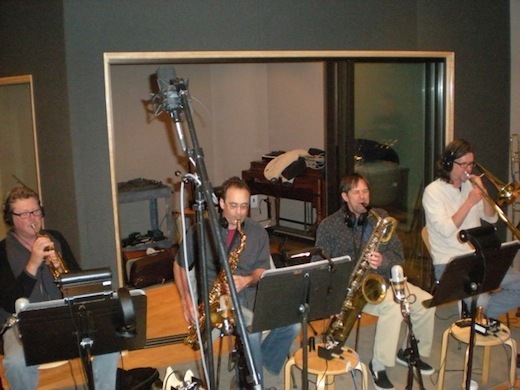 Arranger and multi-instrumentalist Jim Hoke – shown in the photo above playing his sax – wrote the horn arrangements for the album, which was recorded in Nashville earlier this year, and of course he used Sibelius to do the job. Check out Jim’s web site here, and if you want to find out more about Johnny Reid, his site is here. Loved your article, but would like to correct your information! “A Place Called Love” is Johnny Reid’s 7th album, not his second! Thanks for setting me straight, Judi! I’ve updated the article.